If you’ve ever dreamed of having a vacation home where you can take a mini-vacation anytime you want, that dream may be closer to reality than you realize. 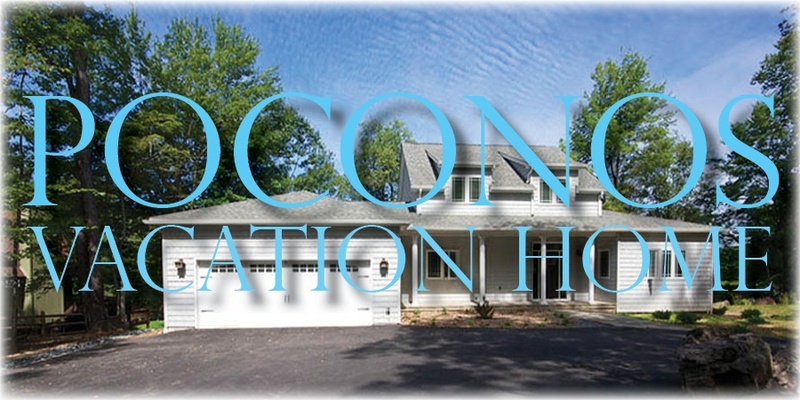 Let’s take a look at why you should buy a vacation home in the Poconos! Sometimes it’s just good to get away from the hustle and bustle of city or suburban life. A quick trip to the Poconos not only provides you with a change of scenery (including some of the most magnificent waterfalls anywhere), but it also gives you a change of pace. Things are a bit more relaxed in the Poconos. But if you’re like a lot of people, sitting in a hotel or motel room isn’t all that relaxing. With a vacation house, you can enjoy all the comforts of home—in a dramatically different environment. If you live near New York City or in the vicinity of Philadelphia, you can truly get away from it all without taking a massive road trip. Even if you live in Manhattan, you can be in the Poconos in just two hours (it’s under 100 miles away). If you happen to be in the Philadelphia area, you’re looking at roughly the same amount of time (and just over 100 miles). While it’s not that far to drive, you’ll feel as if you’re a million miles away from the noise, rush, and stress of city or suburban life. When we talk about location, we're talking about more than just close proximity to major metro areas. The Poconos region has an abundance of small towns and villages where you can settle and build the vacation or retirement home of your dreams. Click here for a closer look at some of those towns and villages. There are also quite a number of communities that afford fantastic views and plenty of amenities. Whether you’re looking for wooded properties, a lakefront community, or a home with a great lake view, you'll find what you want. Here’s a look at some of the communities where we’re building homes right now. Of course, you can always look for that perfect stand-alone lot that's just right for your dream home. Naturally, if you move to a place like the Poconos, you won’t spend all of your time sitting around inside your home. While the pace of life is much more leisurely in the Poconos, this is a great place for an active lifestyle. If you enjoy hiking, you’ll want to check out this article about the best hikes in the Poconos. If you have kids (or plan to have grandchildren visit you) you can take advantage of some of the biggest and best water parks in all of the United States! Do you love golf? You can play to your heart’s content in the area. Here’s a look at 8 amazing golf courses in the Poconos. In addition to a plethora of great activities, you can also find great places to eat. Here’s a look at a few local favorites. Sometimes prospective owners are surprised at how affordable it can be to own a vacation home in the Poconos. Here are a few of the influencing factors. Housing Costs: Housing in the Poconos is surprisingly affordable. Even though the housing market has rebounded very nicely, you can still get a great deal on a new home. 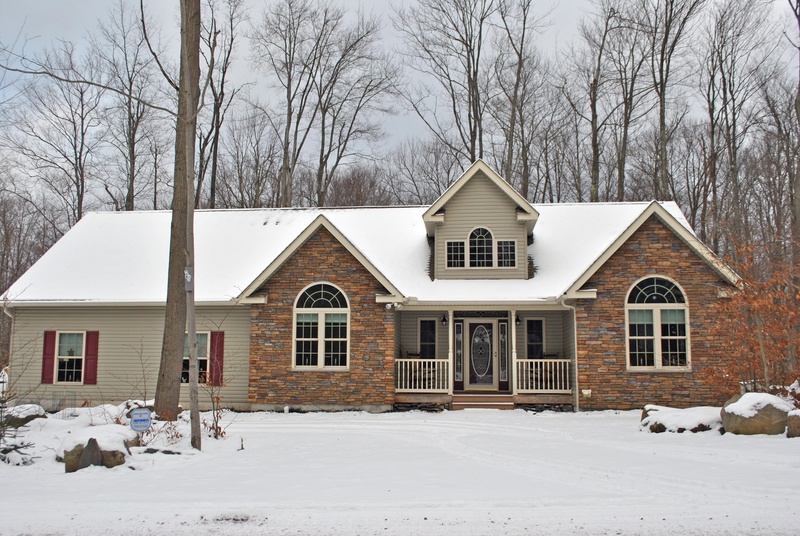 Here's a post that gives you a ballpark cost of housing (in Pocono Lake), but also offers tips for things you can do to control your building costs on a new home. Property Values: Building a retirement or vacation home is an investment in the future. The Mount Pocono community is a good example. According to zillow.com, home values there have increased 15.7 percent over that past year. While nobody can guarantee what the housing market will do, purchasing a new home is historically a pretty sound investment. Even if you don't end up making tons of money over the long haul, it's hard to put a price on the enjoyment you'll reap and the memories you'll create in a vacation home. And it's a lot more convenient than having to rent or book rooms every time you want to come to the area. Cost of Living: Another advantage of Poconos living is that the cost of living in the area is low. According to areavibes.com for instance, the cost of living in the picturesque town of Jim Thorpeis 4 percent lower than the rest of Pennsylvania. If you compare it to other places on the East Coast, the difference is even more dramatic. Jim Thorpe has an index of 96 (with 100 being the national average). Newark, NJ, by comparison, has a rating of 115. For many people on the East Coast, the Poconos is synonymous with skiing. And while there are a lot of great ski areas throughout the region, the Poconos Mountains truly are a full four-season place to have fun for all ages. In the spring, summer, and fall you can take advantage of hiking trails, bike trails, boating, fishing, and checking out the local history. On top of that, there are numerous water parks in the area that have both indoor and outdoor pools so kids and adults can have fun splashing any time of year. 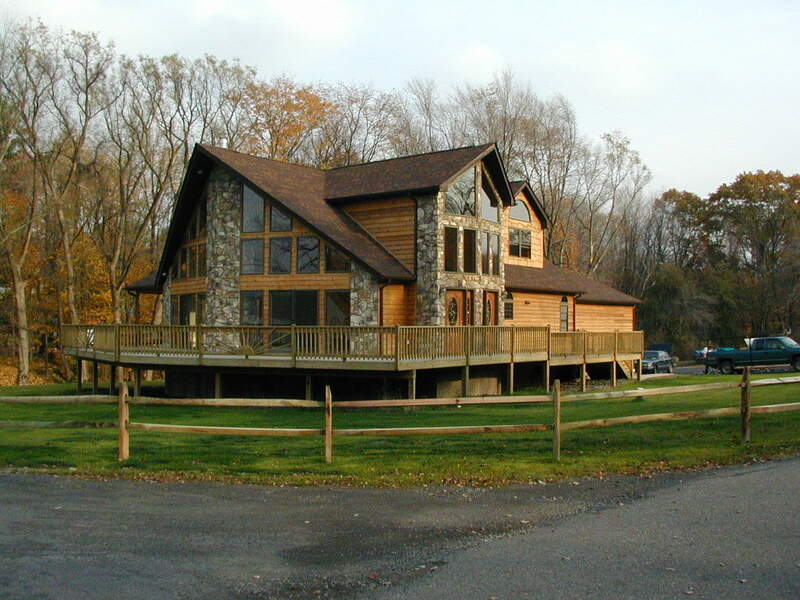 Another thing to consider is that a Poconos vacation home can easily become a great home for retirement. When you no longer have to be near the city of the suburbs you can relax in a quiet place that still offers plenty of activities. And when you’re building a house from the ground up you can include “aging-in-place” features that will allow you to stay in your home comfortably and safely for much longer. Add to that the fact that taxes in Pennsylvania are considerably lower than in places such as New Jersey. That's an important factor when considering where you might live if you're on a fixed (retirement) income. Here’s a Way to Make It Happen! Right now may be the perfect time to build your Poconos vacation home. For a limited time, Liberty Homes is offering a special Chateau + Land package deal that lets you build your vacation home with virtually no cost for the land. See how you can own a 1200 square foot, 3-bedroom, 2-bathroom house with deck, water, sewer, and fireplace for only $149,900. 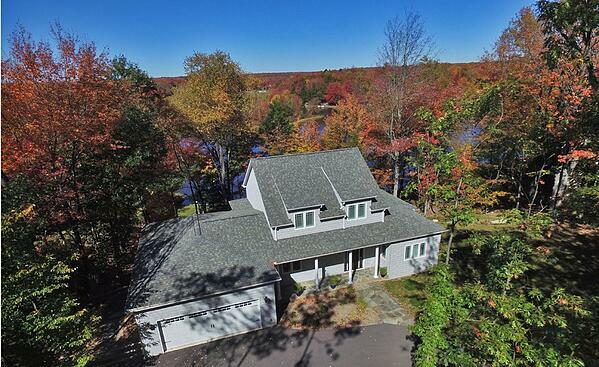 Click here for images, floor plans, and additional details that can make your dream of owning a Poconos vacation home a reality.